The vehicle we managed to get our mittens on was a brand new 2017 model LandCruiser 200 Altitude Special Edition. If it sounds a bit fancy, trust me, it was – especially when you’re a fairly basic fella like me that literally just completed a similar expedition in a worn out 80 Series ‘Cruiser with over 600,000kms on the clock. I’m going to come right out and say it, the LC200 Series is a weapon of a tow vehicle. I mean, the thing rolls off the showroom floor with 200KW of power and 650nm of stump pulling torque thanks to a 4.5L twin-turbo-diesel donk! What’s even more impressive is the way that all that grunt is delivered right to your door step. The power is always just a flick of the foot away, yet the throttle isn’t too twitchy which lends to that “safe” kind of feel on the road. 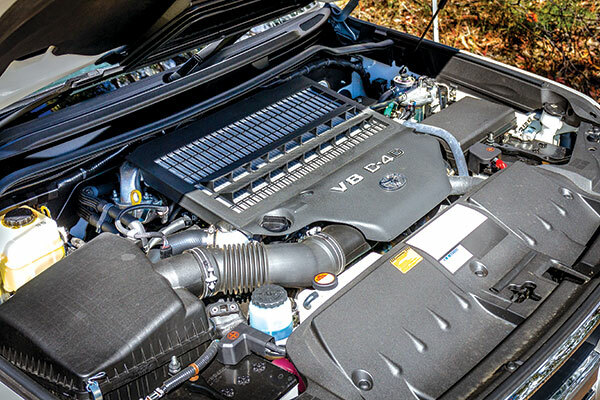 So it goes without saying, acceleration is effortless – with three-tonnes on the back or not! I mean you know there’s a load on the back, but the ‘Cruiser never actually feels like it’s working! 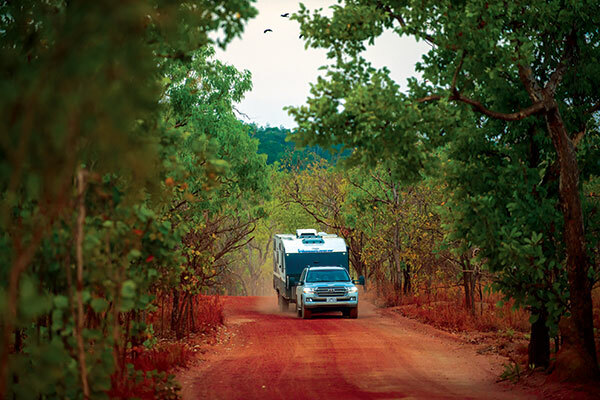 It handles the rigours of dirt road travel like it should. There’s obviously less traction so that load we were lugging didn’t mind pushing its weight around like a six-foot-seven bouncer on a bit of liquid courage. In saying that, the LC200 would easily handle a mid-size van. Those huge brakes keep the ‘Cruiser firmly in control, and with the towball’s 350kg rating van selection isn’t exactly limited, either. The factory rear suspension springs will need a bit of beefing up if you plan on towing big, like us. The suspension sagged a fair bit, so a good chunk of the weight transferred off the front wheels. We had a few teething issues with the load swaying around at highway speeds, but that can mainly be put down to the 'Cruiser’s factory rear-end suspension being a bit soft for such a job, and bugger-all ball weight, thanks to an unloaded van at first. While I wouldn’t say internal space is lacking, it doesn’t feel quite as roomy as the older 100 Series 'Cruiser, in my opinion. While it’s got a few little mod-cons, like the push-button start and smart entry system, there were no adaptive cruise control systems or lane departure warnings. No blind spot sensors or crash mitigation. To be perfectly honest, I felt it lacked modern features for a vehicle of this calibre and price bracket. We unhitched the van and drove it around town a number of times (Alice Springs and Darwin, mainly), and I’m happy to say it pretty much drove like a car – until you want to park it in a tight spot. The good news is you do get parking sensors and a reversing camera in the Altitude, which really helps take the guess work out of those tighter parking spots. 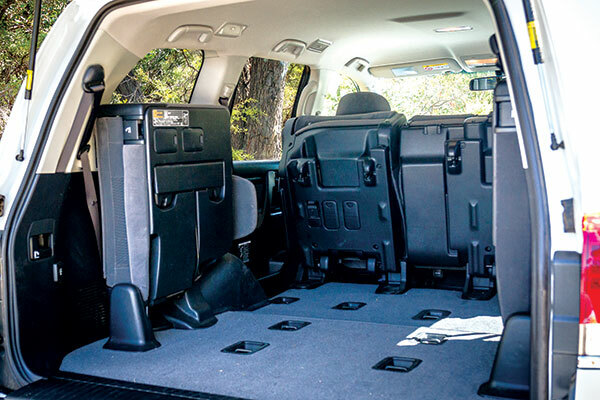 It’s a true eight-seater, too. Although I reckon the three seatbelts on the third row is a little optimistic. The front five seats are big enough to handle a couple of burly big units quite comfortably though! Like the majority of eight seat vehicles you effectively get no boot space when the third row seats are in use, but hey, your towing a van so it shouldn’t be a problem right? 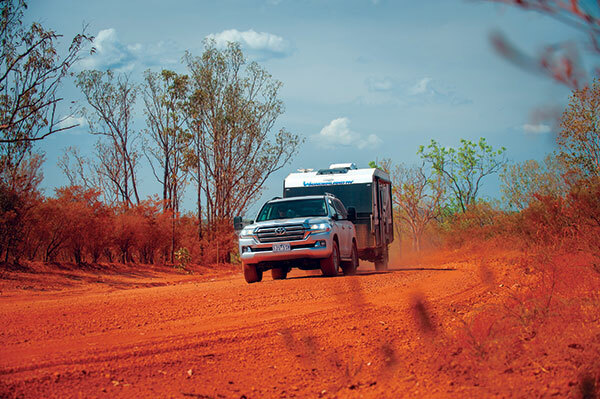 When it comes to offroad and touring ability, few will stack up on paper or in the real world like a LandCruiser. The LC200 might appear soft and overly stylish (compared to previous models), but it’s still surprisingly capable. It’s a full-time 4WD system with no manual locking hubs to worry about, so transitioning from high speed bitumen to fire trails requires literally no input from the driver. 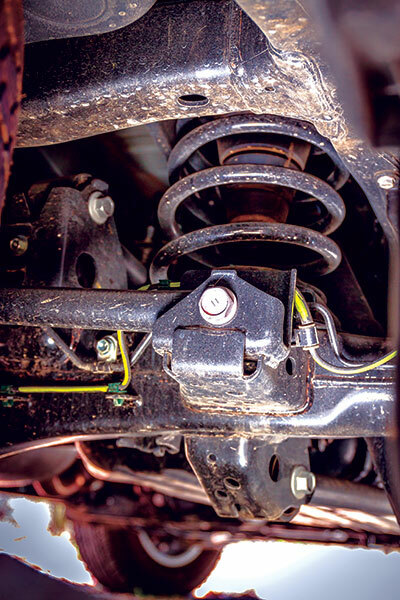 If the going gets tough, a centre diff lock button locks both front and rear axles together, although with an absence of cross axle diff locks at either end, a lot of the equation is left up to electronic aids. The hill start assist system is an absolute pearler if you’re tackling steep terrain, and Toyota’s Crawl Control helps take the guess-work out of tricky ascents and descents where you’d rather focus on the precise steering input rather than juggling the brake and accelerator to maintain speed. There are three selectable speeds you can choose from, depending on the steepness of the terrain. Turn Assist is also available to help tighten up the turning circle by locking the inside rear wheel, something that seriously comes in handy towing down tighter tracks. Like most LandCruisers, I found the 200 to essentially be point and shoot, incredibly capable but it did make things a little boring. Any track that would challenge it offroad is the exact kind of track you wouldn’t want to punt close to $100K worth of car down. 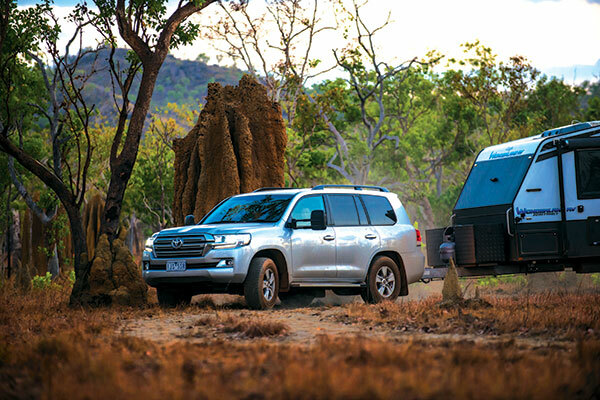 For the average weekend adventure with the family and van in tow, the 200 Series LandCruiser is more than capable enough to go anywhere you’d want to take it. Like the base model GX and the GXL, the 200LC Altitude comes standard with traction control and multi-terrain anti-lock braking system. 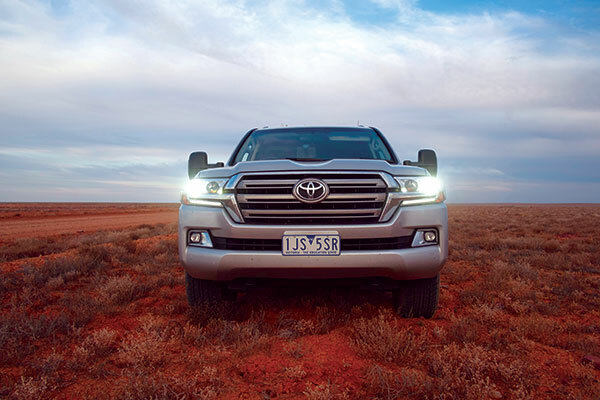 Toyota’s LandCruiser has been the go-to 4WD for serious offroad work for the better part of a century now. The earlier models were capable because of their simplicity, whereas the 200 is at the opposite end of the spectrum. It’s still every bit as capable offroad, thanks to some smart technology and does it in a way that doesn’t compromise its on-road performance. 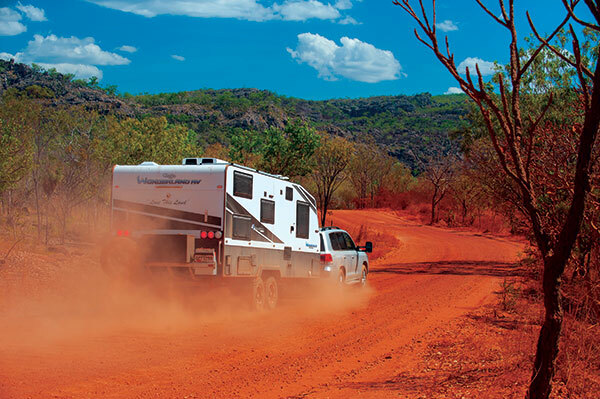 It’s the kind of rig you can load up with camping gear, hitch a 2t van on the back of and drive from Melbourne to the Old Tele’ Track, or as luck would have it, Port Augusta to Darwin with not a care in the world. So to bring you right back to the start of this article, when the question begged: why is it so popular? I think it’s pretty clear – it’s the perfect blend of capability, performance and reliability. It does have its drawbacks in terms of its sheer bulk and lack of tech that should realistically be standard at this price point, but in a lot of ways that same lack of tech is often preferred for long distance touring – less to break, eh? 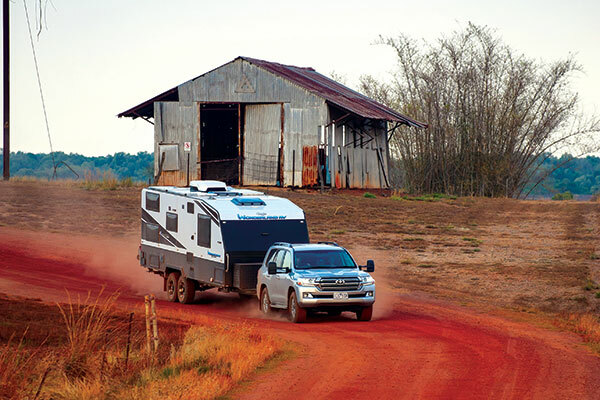 If you had the keys to a 200 Series LandCruiser and the trailer of your choice on the back, you’d be hard pressed to wipe the smile off your face, and even harder pressed to doubt its touring ability! The full tow test appears in Caravan World #573. Subscribe today for the latest caravan reviews and news every month!